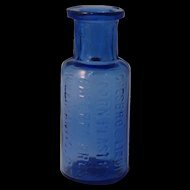 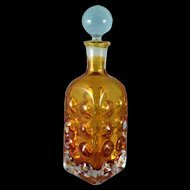 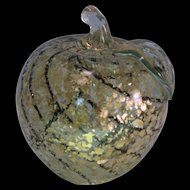 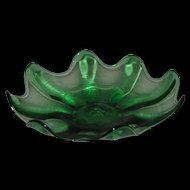 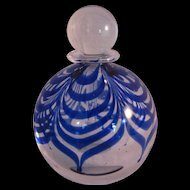 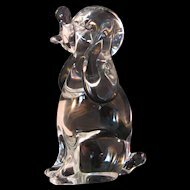 You are looking at 2, 1 oz Medicine bottle manufactured by Hazel Atlas Glass Company. 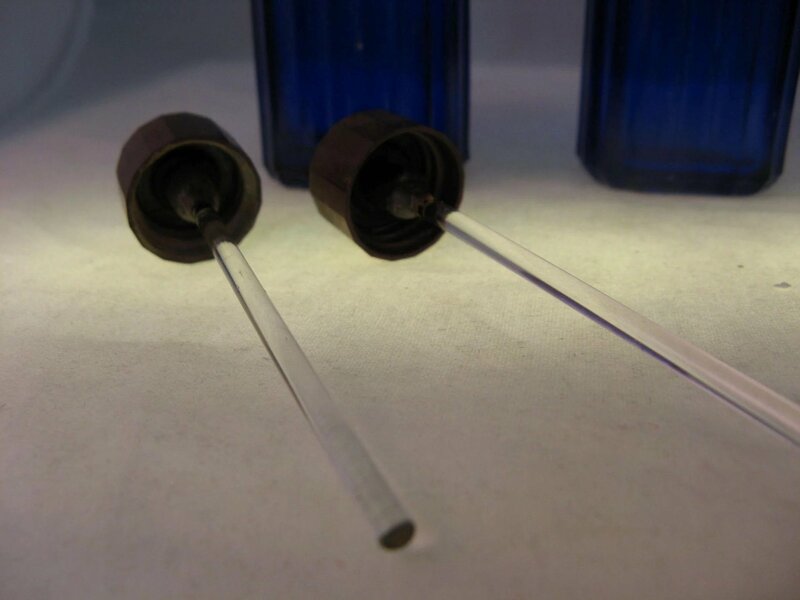 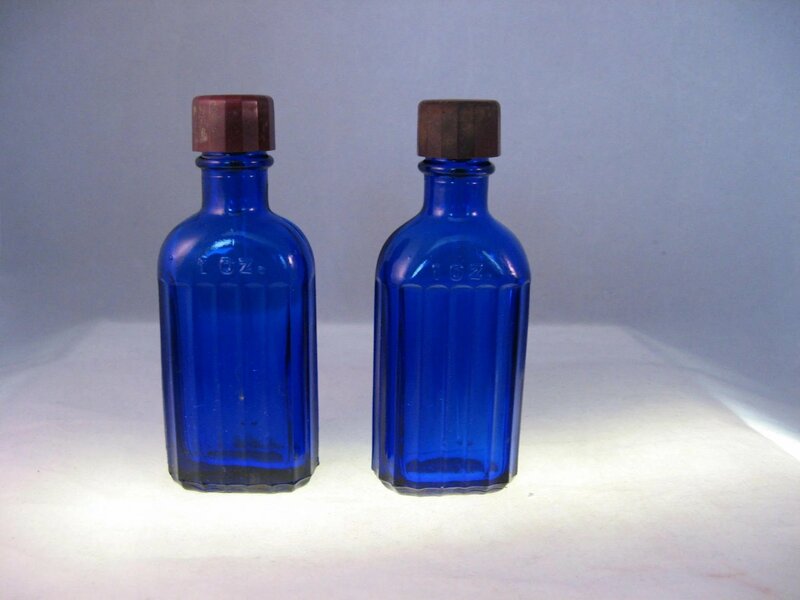 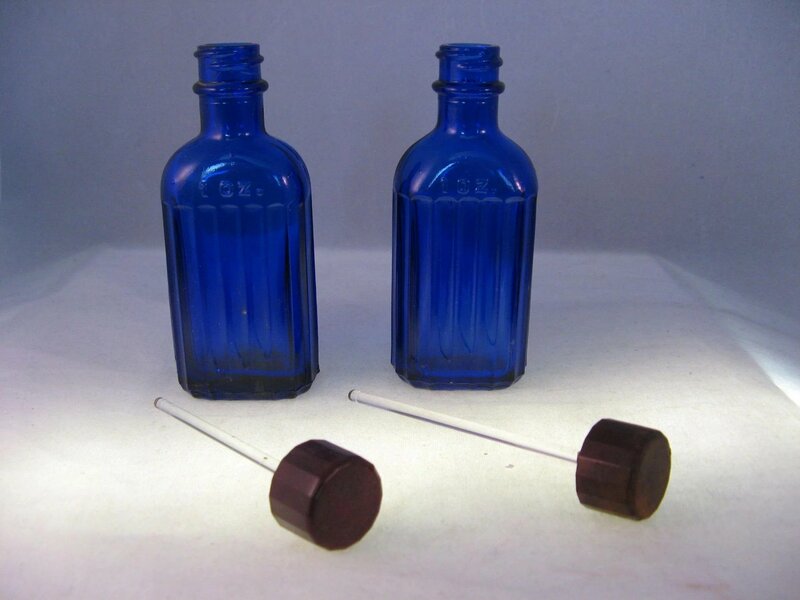 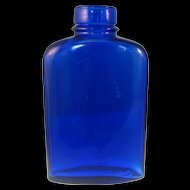 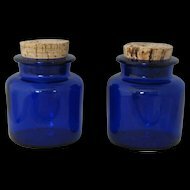 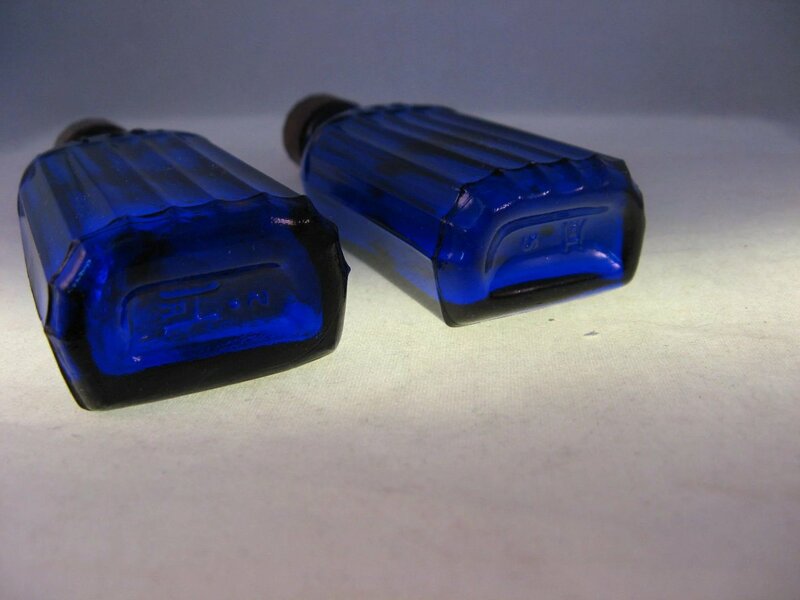 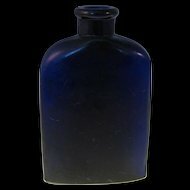 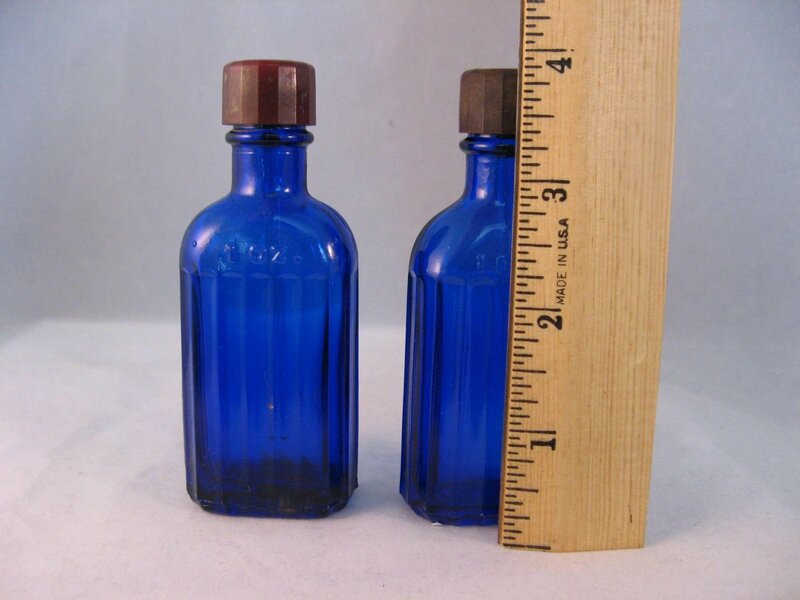 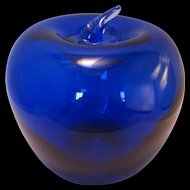 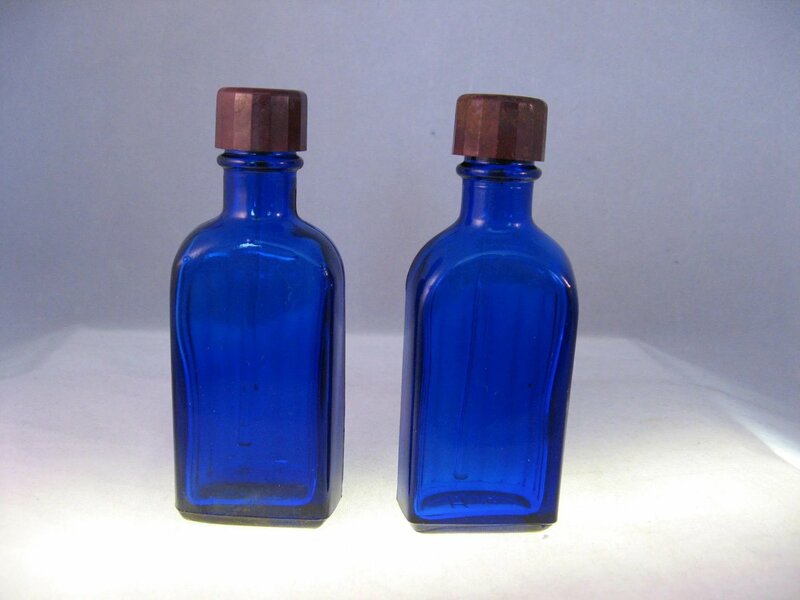 These are 2 beautiful deep cobalt blue molded bottles and screw tops with attached clear glass wands. 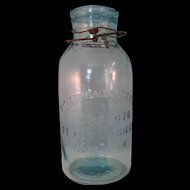 The inside of lids smell like Mecuricome or Iodine so they were most likely bottled by a chemist or pharmacist for consumer use. 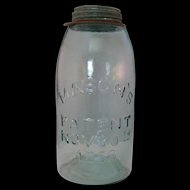 Hazel Atlas stopped productions in 1964. 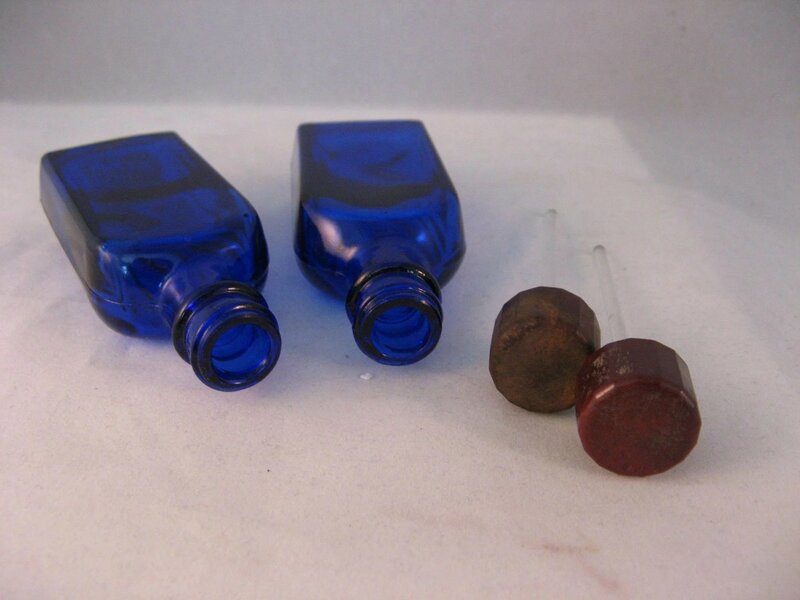 The 2 bottles are the same design but slightly different each is marked with Hazel Atlas “H” with little “a”, 1 oz. 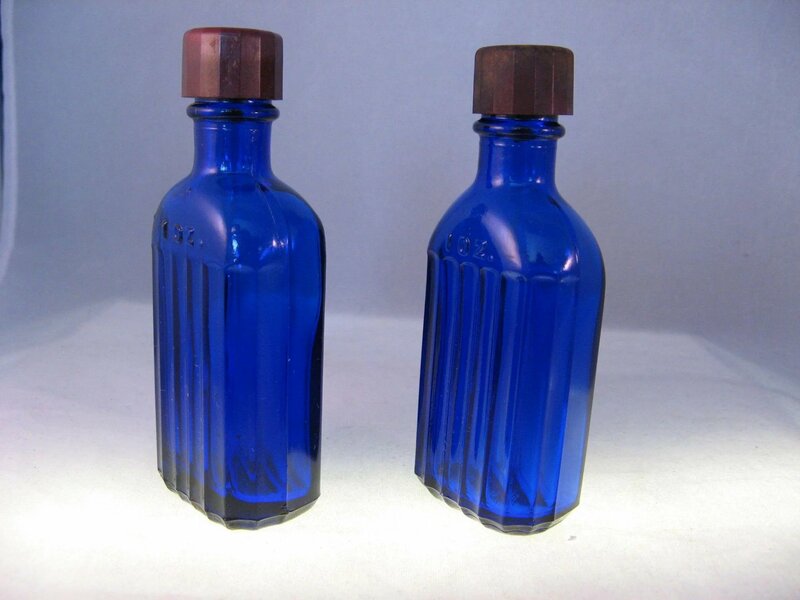 and paneled front and these are the differences.